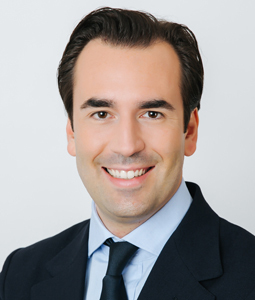 Martin Winkler, born 1981, has been appointed spokesman of the Verkehrsbüro Group’s executive board as of 01 October 2017. The Viennese manager has been a member of the company’s extended board of management since 2015, in which position he was responsible for the Group’s finances. Winkler is a member of the board of management of the subsidiaries Verkehrsbüro Hotellerie and Eurotours. From 2009 he was head of corporate marketing, from 2010 head of the controlling department and shortly afterwards the whole of the financial department. Winkler has been with the Verkehrsbüro Group since 2001. Areas of responsibility: hotels and events under the brand name Austria Trend Hotels, Palais Events, Joint Venture Motel One Austria, strategy, corporate governance, marketing, press & communication, accounting and controlling. 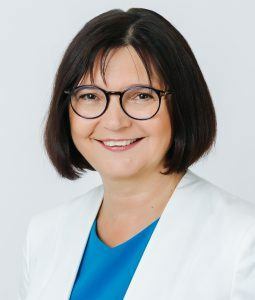 Helga Freund, born in 1961, has been a member of the company’s board of management since 2015 and is responsible for leisure tourism. She is a managing director of the subsidiaries Eurotours and Verkehrsbüro-Ruefa. The Tyrolean manager began her career at Idealtours in Brixlegg, before joining Eurotours in 1993. During her time with the company she has held several managerial positions, including hotel contracting, sales, incoming and product and yield management. From 2007 onwards, with her extensive experience in international markets, she was responsible for the whole tourism division. Areas of responsibility: leisure tourism under the brand names Eurotours and Ruefa, Intertravel participation and IT. 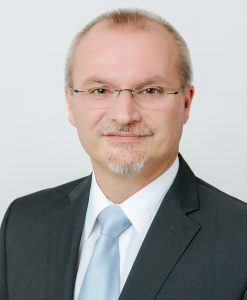 Helmut Richter, born 1965, is a member of the Verkehrsbüro Group executive board and responsible for business tourism. The manager from Lower Austria was appointed member of the company’s extended board of management in 2015. The business administration graduate was head of business travel from 2000, from 2004 managing director of the DDSG Blue Danube Shipping Company (shares) and from 2006 head of controlling. Helmut Richter previously worked for Philips Austria and KLM Dutch Airlines. He is a managing director of the subsidiaries Verkehrsbüro Business Travel and AX Travel Management. Areas of responsibility: business tourism under the brand names Verkehrsbüro Business Travel and AX Travel Management, Austropa, human resources, purchasing & building technology and the legal department.